Sierra Wireless agrees to purchase Florida-based Accel Networks, a leading provider of 4G LTE managed connectivity service for distributed enterprises. 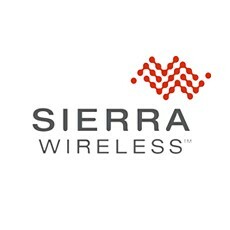 Sierra Wireless and Accel Networks today announced that Sierra Wireless has entered into a definitive agreement to acquire Accel. The transaction is expected to close in June 2015. “We are excited to join forces with our long-time partner Accel Networks as we see strong strategic alignment providing secure, managed connectivity solutions for the distributed enterprise, as well as for the broader Internet of Things,” said Jason Cohenour, President and CEO of Sierra Wireless. Accel Networks provides primary and back-up connectivity services to more than 300 enterprise customers in sectors such as retail, finance, security, energy, and hospitality. With 4G LTE providing high connectivity speeds and legacy carriers transitioning away from copper-based networks, many enterprises are adopting wireless connectivity. Accel enables this migration without sacrificing reliability or performance. Accel’s managed connectivity service and wireless link optimization solution transforms a cellular link into an enterprise-class last-mile connection that equals or exceeds terrestrial broadband. Accel Networks provides a complete end-to-end solution – integrating 4G LTE gateways and the iMaestro™ antenna, with cloud-based radio frequency link optimization and remote management. Combined with high-speed LTE connectivity from leading network operators including AT&T, Verizon, and Sprint, the Accel solution enables distributed enterprises to rely on cellular-based connectivity for their most critical applications, including PCI-compliant secure communications. Accel deploys their managed connectivity services with customers directly, as well as with key channel partners such as Trextel. Accel Networks was founded in 2002 and is headquartered in Florida, with its primary operations center located in Georgia. The company currently employs 28 full time staff. Previous : Connect ‘Em All: What’s Next For The IoT?